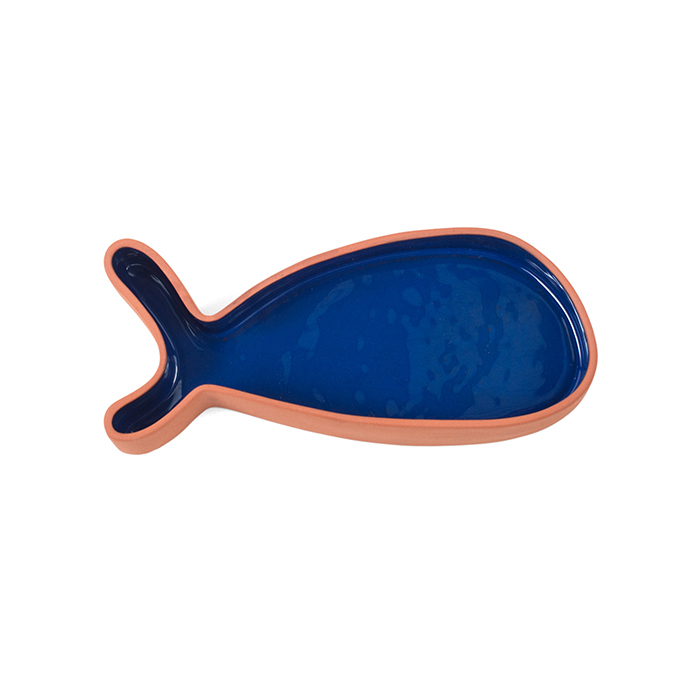 This medium fish-shaped terracotta dish is ideal for serving tasty treats such as tapas. The dish is made from terracotta and has a dark blue interior. The fish tapas dish is available in three sizes.